Our ALL NEW 12 INCH PADDED HANGER. We listened to our customers and they said longer is better. Padded Guitar Display For Home, Studio, Store, Warehouse, Stage, Dorm, Hotel.. 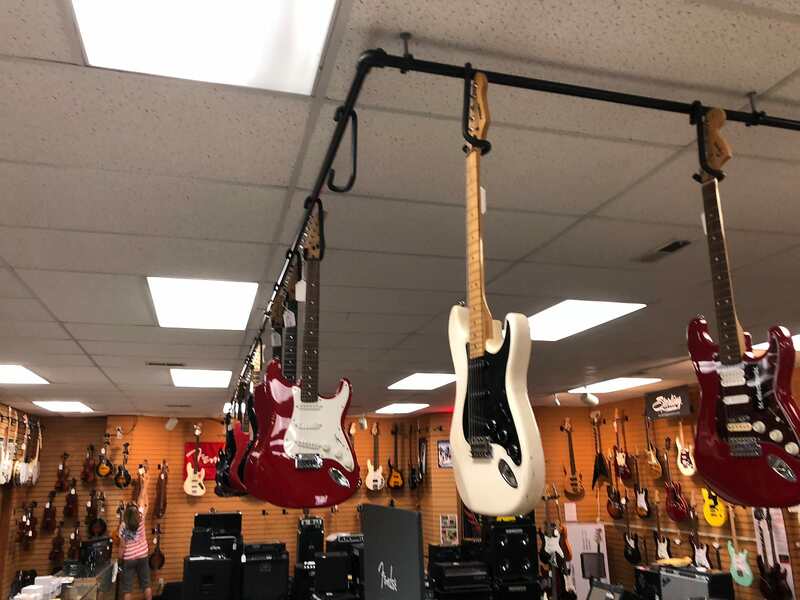 This is our 12 inch padded Guitar Bar Hanger designed for maximum security and safety as used by Count Brother Guitar, (Muscle Shoals Alabama) guitar display. 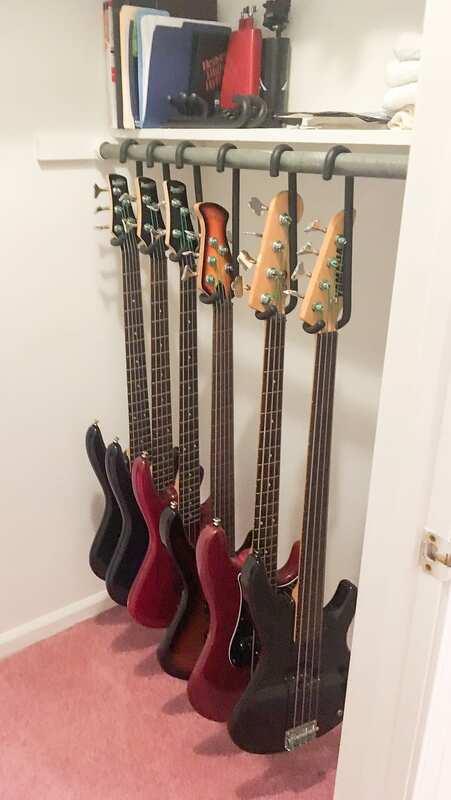 A unique guitar closet bar hanger design. 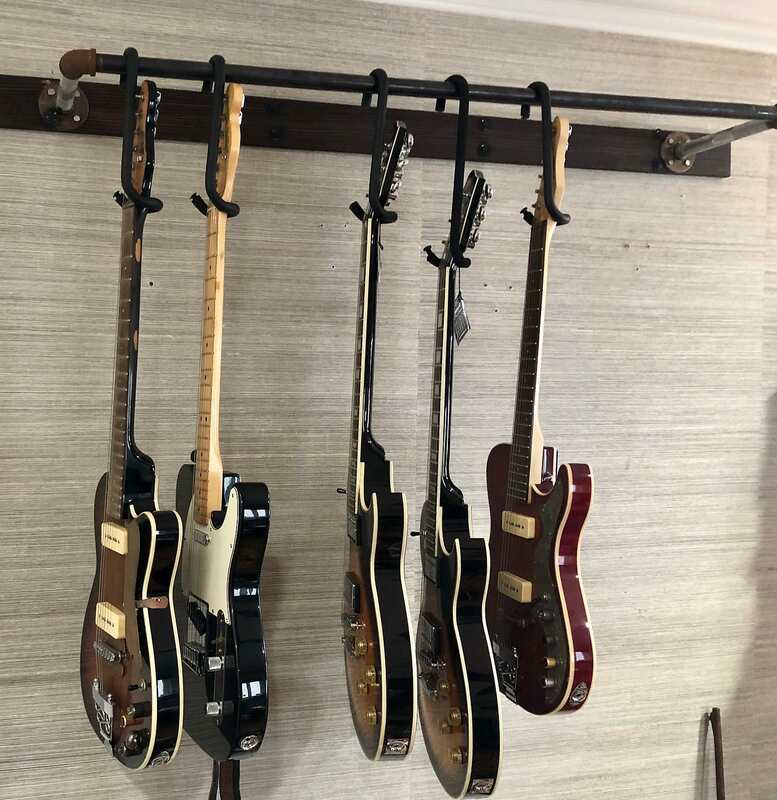 Securely locks your guitar to hang vertically from any closet rod, our display stand, our your custom wall or ceiling rack. Works with electric, acoustic, 4 string base guitars, mandolin, ukulele, banjo, guitar hero etc.. 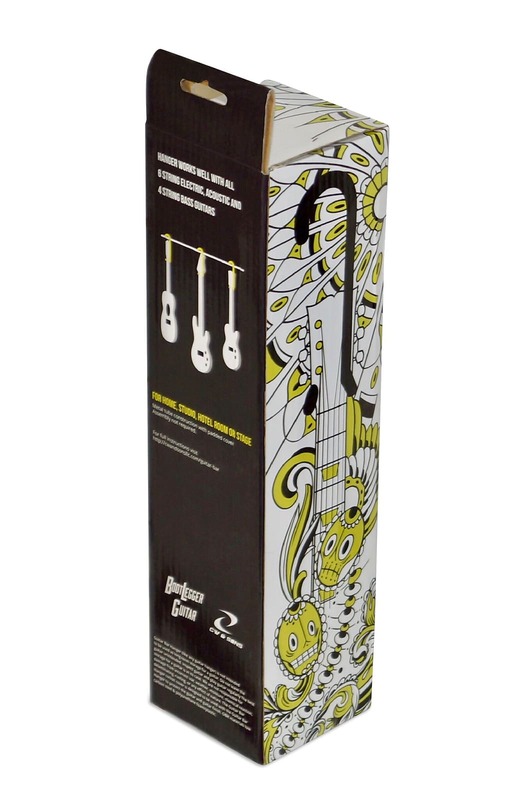 Accessories 1) Black cotton electric guitar sleeve cover keeps your guitar clean while hanging. 2) Custom aluminum guitar rack. 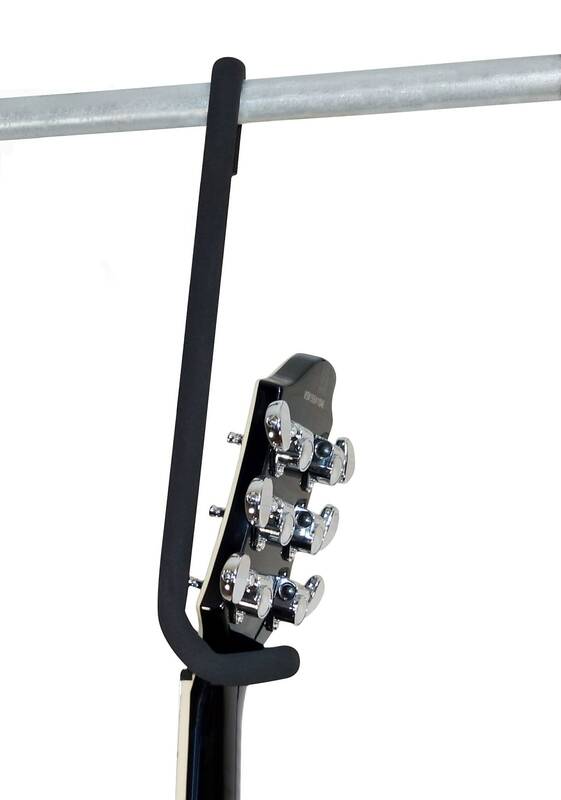 (Pictured) Satin black painted rack designed for use with the Guitar Bar Hanger. High quality, safe display for home and stage. Please feel free to contact us with any questions. Guitar Display For Home, Studio, Store, Warehouse, Stage, Dorm, Hotel.. 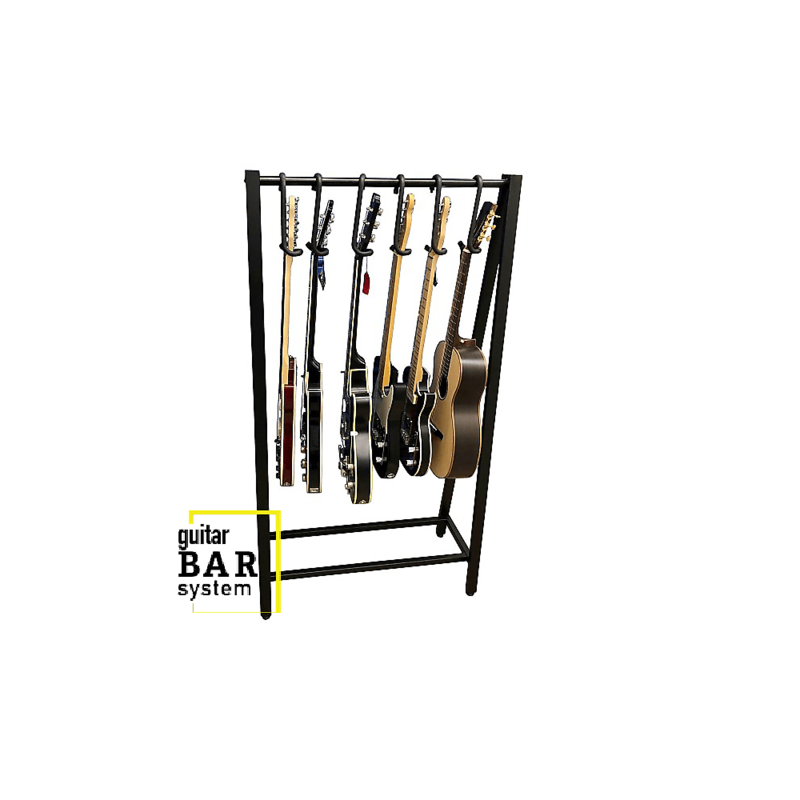 This is our new 12 inch Padded Guitar Bar Hanger designed for maximum security as used by Count Brother Guitar, (Muscle Shoals Alabama) overhead sales display. Please feel free to contact us with any questions. 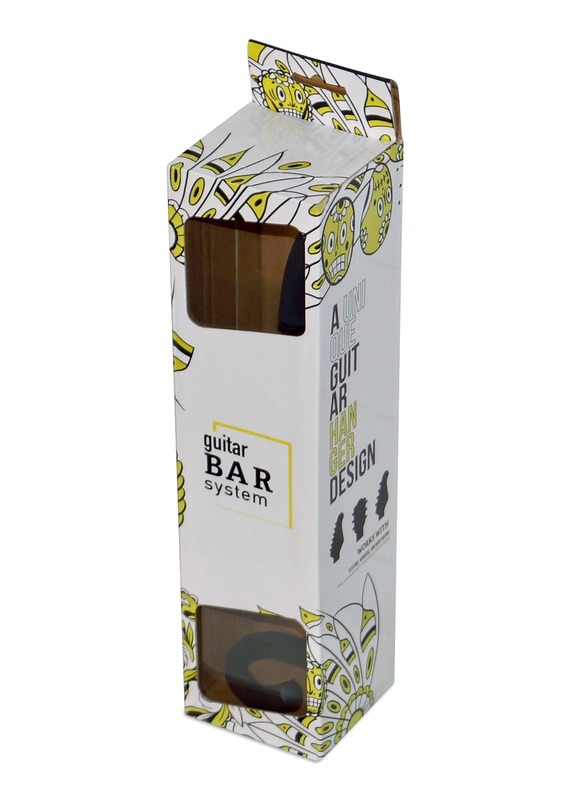 Watch our 67 second demo video on our website guitarbarhanger.com. Currently the video is of 9 inch hanger. 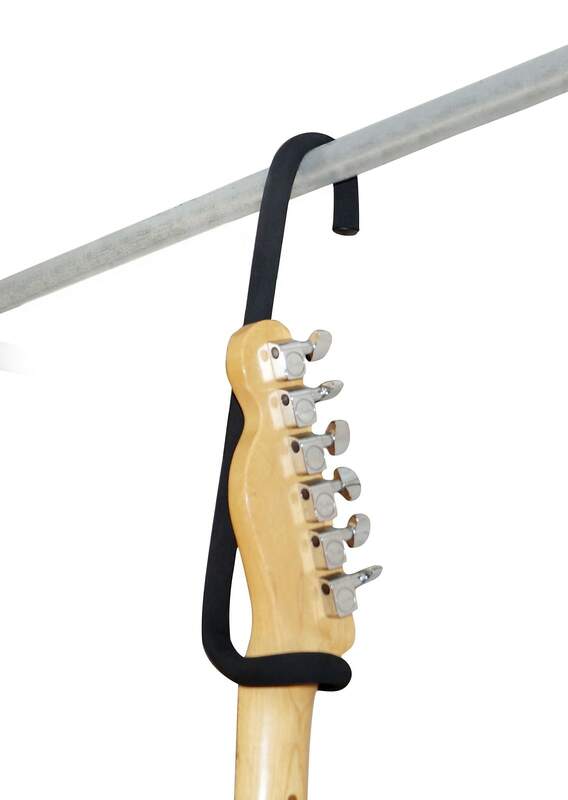 The Guitar Bar System accessories / options are designed to work with the Guitar Bar Hanger. 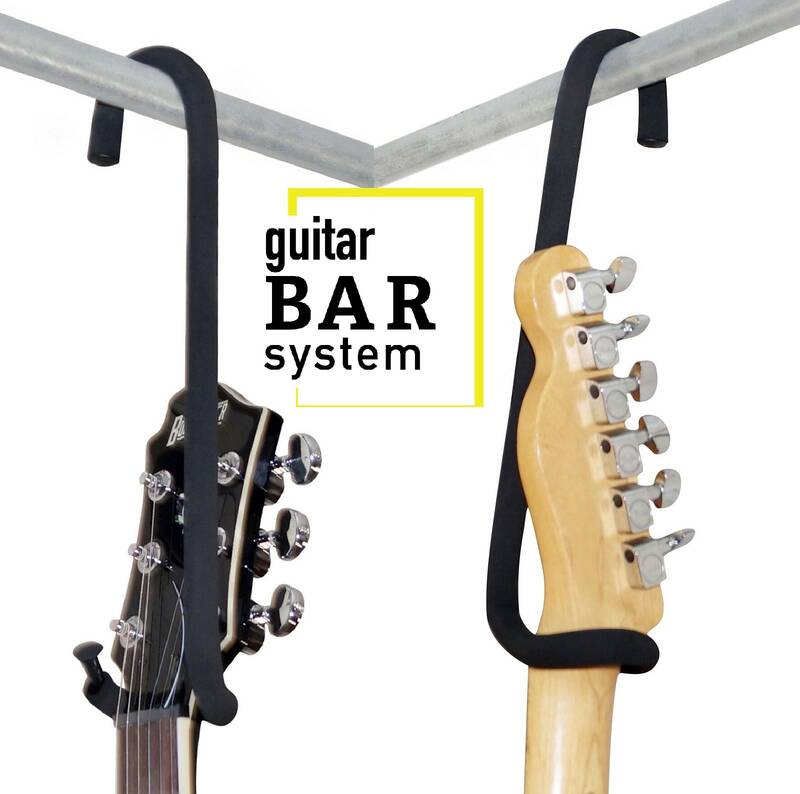 Keeps your guitar clean while hanging out the Guitar Bar and adds security keeping it out of sight. Satin black painted rack designed for use with the Guitar Bar Hanger. High quality, safe display from home to concert stages. Custom sizes can be ordered. The complete system will provide secure guitar display & storage for home, store, studio, warehouse to stage. Hanger material, solid metal rod with poly padding. Plastic end caps. Lacquer or Nitrous finishes (vintage guitars) use with our cotton cover. We have options for padding. Ethylene vinyl acetate: This is the same material used by Fender, Hercules on wall hangers. Considered safe for vintage lacquer. Polyurethane foam: safe for modern guitar finishes and widely used. May not he suitable for vintage lacquer.